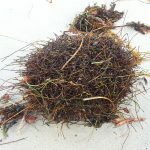 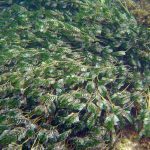 Along with strapweed, wireweed is one of the more dominant forms of seagrass in the Perth region. 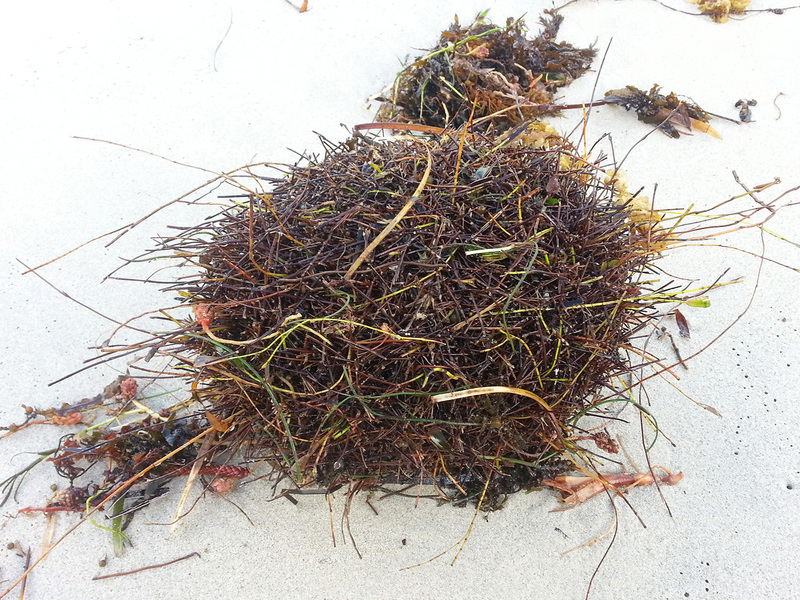 Found throughout southern Australia, wireweed forms extensive beds in shallow sandy areas. 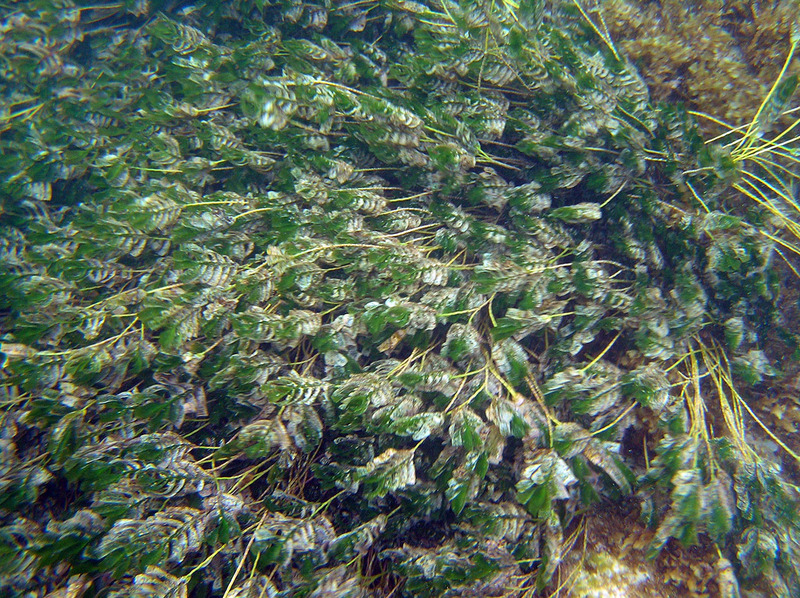 Its woody stalks provide homes to epiphytes and invertebrates, such as bryozoans. 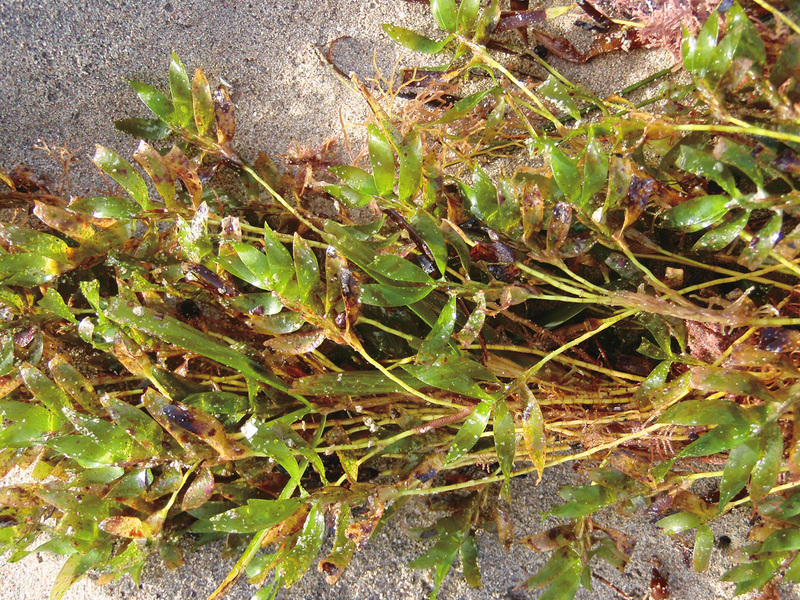 There are only two species of wireweed found in the Perth region, both of which are found only in Australia. 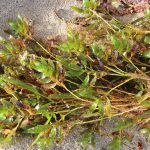 The southern wireweed (Amphibolis antarctica) has relatively short leaves that are generally slightly twisted, whereas Griffith’s wireweed (A. griffithii) has longer, straight leaves.